TeraThink's board provides steady guidance to our leadership team. Their combined decades of experience in leading large, innovative organizations helps TeraThink innovate, advance, and grow. Paul has over two decades experience in business and systems consulting and business development that spans federal and commercial industries in both domestic and international businesses. He is the founder and currently serves as the Executive Chairman of TeraThink. For over 15 years prior to merging with Dominion Consulting in 2017, he served as President and CEO, overseeing all aspects of the organization and providing complete leadership to the firm and corporate direction. TeraThink’s consistent success was recognized through 8 consecutive rankings on the Inc. 500/5000 list of fastest growing companies. In addition to consulting for internationally-recognized consulting firm Accenture, Paul also provided delivery, development, management, and direction of small start-up consulting firms. His broad consulting and executive leadership and management experience encompasses all aspects of business practice, strategic planning, corporate development, financial operations, and business development. Paul is an active Virginia Tech alumnus serving on the Apex Systems Center for Innovation and Entrepreneurship, and Student Advisory Board. He earned his B.S. in mechanical engineering from Virginia Polytechnic Institute. Doug joined TeraThink’s Board of Directors in 2017. 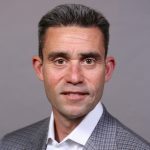 Previously, he was responsible for the delivery of SAIC services and solutions through its 15,500 employees as Sector President before retiring in September of 2017. Prior to that role, he was led SAIC’s Homeland and Civilian Solutions. Before joining SAIC, Doug served as senior vice president of Data Systems Analysts, where he was responsible for strategic direction and led business development and line operations. In addition, Doug was a senior vice president at Choice Point (Lexis Nexis), starting their public-sector practice and growing it to over $50M in 3 years. 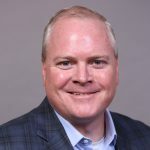 Doug started his career at EDS (DXC) and over ten years held positions in financial management and was the CFO for the Mexico based subsidiary. Doug has been honored by Federal Computer Week with a Fed100 Award in recognition for his work in reforming the security clearance process. He is an eight-year Board Member, and Deputy Chairman, of the USO-Metro. He also serves as Chairman of the National Leadership Council for the President of Virginia Tech. 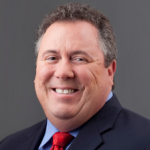 Doug earned his bachelor’s degree in Finance from the College of William & Mary, and his MBA from Virginia Tech. 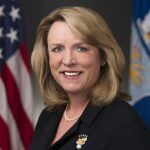 Madame Secretary Deborah Lee James joined TeraThink’s Board of Directors in 2018. She leads DLJames International LLC, a strategic advisory firm, is a Special Advisor at Bain & Company, and a Senior Advisor to the Center for Strategic International Studies (CSIS). She is on the Advisory Boards at Massachusetts Institute of Technology – Lincoln Laboratory, Beacon Global Strategies LLC, and LeanIn.Org. Through January 2017, Deborah served as the 23rd Secretary of the United States Air Force with responsibility for 660,000 military and civilian personnel and a budget of nearly $140 billion. Prior to that role, she served as President of SAIC’s Technical and Engineering sector, a $2 billion, 8,700 person enterprise. Before joining SAIC, Deborah was the COO for the Business Executives for National Security and spent two years as the Vice President for International Operations and Marketing for United Technologies Corporation (UTC). Deborah has served on several non-profit Boards of Directors including the USO and the Tragedy Assistance Program for Survivors (TAPS) and Advisory Boards for the PenFed Foundation (as Chairman), the Citadel, and the College of Charleston. Deborah earned her bachelor’s degree in Comparative Area Studies from Duke University, and her Masters of International Affairs from Columbia University. 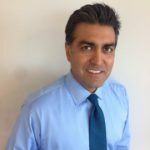 Sonu Singh joined TeraThink's board in 2018. He is the founder of 1901 Group and corporate leader responsible for our strategic vision, innovative business model, and financial performance. Recognizing that the delivery of information is currently undergoing a dramatic transformation, Sonu started 1901 Group to close the cost-to-value gap on IT infrastructure by applying proven manufacturing principles to the next generation of IT service management. Having built and sold two IT services companies within the past 15 years, Sonu is utilizing industry practices and principles to execute 1901 Group’s corporate vision of building service operations centers or IT service factories in rural communities with strong university systems. Thanks to a childhood in Blacksburg, Virginia and a degree from Virginia Tech, Sonu’s personal passion and professional goal is creating sustainable, high-quality technology jobs in rural America.